The community of Lake Tanglewood is a setting for residents who enjoy living in resort style. A mixture of year round homes and vacation homes in the gated community offer the setting for relaxation while still being within 15 miles of all of the opportunities that Amarillo has to offer. A real estate appraisal of homes offered in this gated community will bear out the sustained value of the area properties. Residents enjoy the clubhouse where they gather for community parties to celebrate the Fourth of July, Thanksgiving, tailgate parties, as well as group meetings. The area has a community park, library and mail box center. Gas pumps are available where private boats are docked, and there is a café conveniently located so outdoor fun isn’t interrupted. 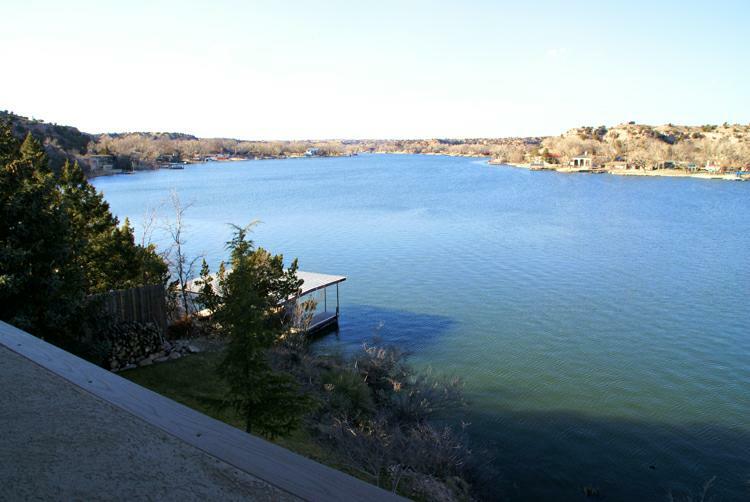 Surrounded by Palo Duro Canyon, the 400 families in Lake Tanglewood live among the abundant wildlife and take advantage of the water skiing, swimming, fishing and boating that the man-made lake offers. It was created at the Red River Prairie Dog Town Fork in the northeastern corner of Randal County by the damming of the Palo Duro Creek. The town encompasses 1.06 square miles. The age of homes in the area is significantly below the Texas average, and house value is above average. The median list price of a Lake Tanglewood home is $449,000. With the luxurious resort like lifestyle, the cost of living is surprisingly low. Compared to the U.S. average of 100, this community can boast that their cost of living index is a comfortable 84.8. Property taxes for units holding mortgages averages approximately $5,182, while median taxes for housing units that don’t have mortgages is approximately $3,478. Over 95% of the adults over the age of 25 are high school graduates, and over 40% hold a Bachelor’s degree. Only 2.5% of the population is unemployed. The average commute of the residents is just over 24 minutes. The median household income is well above the average of Texas. The panhandle cities that surround Lake Tanglewood within 5 miles are Palisades, Timbercreek Canyon, North Randall, Canyon, Amarillo, Bishop Hills, Happy, and Claude. Medical centers and hospitals serving the residents are close by in Amarillo. Emergency services and acute care is provided at Northwest Texas Surgery Center, Baptist St. Anthony’s Health System-Baptist Campus, and Northwest Texas Hospital. The West Texas A & M University, with an enrollment of 5,251 is located in Canyon. Amarillo College has an enrollment of 3,610. Two colleges in Lubbock, the Texas Tech University Health Sciences Center and Texas Tech University are just over one hundred miles from Lake Tanglewood, and in Levelland 4,670 students are enrolled at South Plains College. The population is 805, and the median age of the residents is 52.1 years, compared to the median age of people living in the state of 40.8 years.